German Fest is an annual St. Martin event on the first Saturday in October. "Bigger and Better at Wyandotte County Fair Grounds in 2017"
On Saturday, October 6, 2007, St. Martin held its first German Fest. Funds were needed for the 100 year anniversary celebration in 2008 so with the work of a steering committee plans were put into action. On the day of the event, numerous St. Martin members worked the entire day setting up tents, tables & chairs, preparing food and anxiously prayed that the weather would cooperate. Rain clouds appeared but the evening's temperatures were perfect. The community's response to German Fest was overwhelming with an estimated 300 people attending. Parking overflowed from the parking lot to the field. Cars honked as they drove by. Shade tents with white lights surrounding the wooden dance floor made for a festive atmosphere. The Grisnik Orchestra from Strawberry Hill played and the Blautaler Schuhplattler dancers entertained the crowd. Activities and face painting were a hit with all the children attending. A pig was donated and other German foods were enjoyed by all. Even a small beer garden offered a limited selection of October beers! Over the years, German Fest continues to grow and is becoming a mainstay community event, bringing people from near and far. We hope to see you there! Live music and dancing is a staple at German Fest. 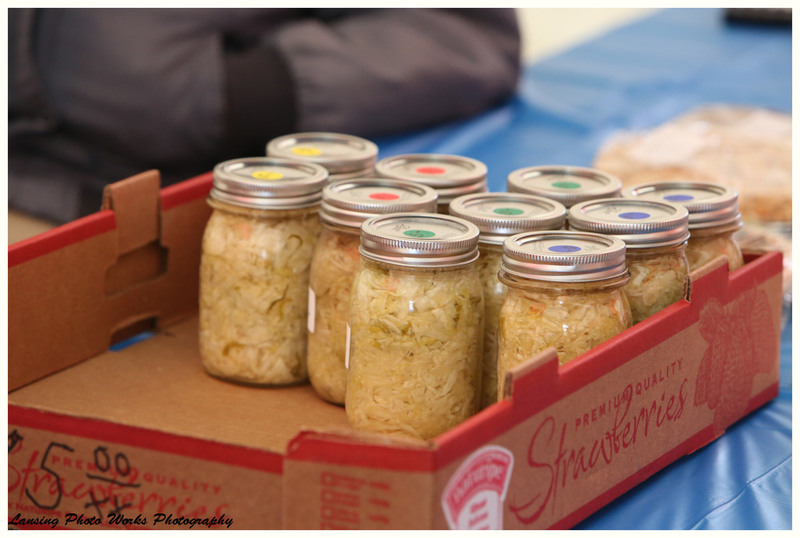 Congregation members gather months in advance to prepare sauerkraut for the festival. German Fest always seems to be over before we know it. But we always have the next one to look forward to!